Let me introduce you to Marie Segares of Underground Crafter. 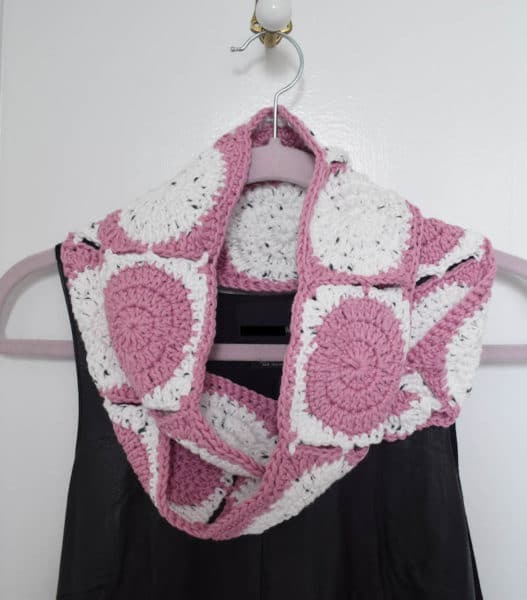 Marie is a very talented crochet designer; her patterns are always an inspiration, and she is generously giving them away for free at her website. 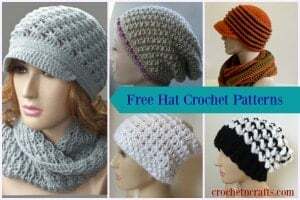 In addition to her free crochet patterns, you’ll also find helpful tips, free knitting patterns and lots more! I’m Marie from Underground Crafter and I’m so excited to be sharing a crochet pattern with you today. 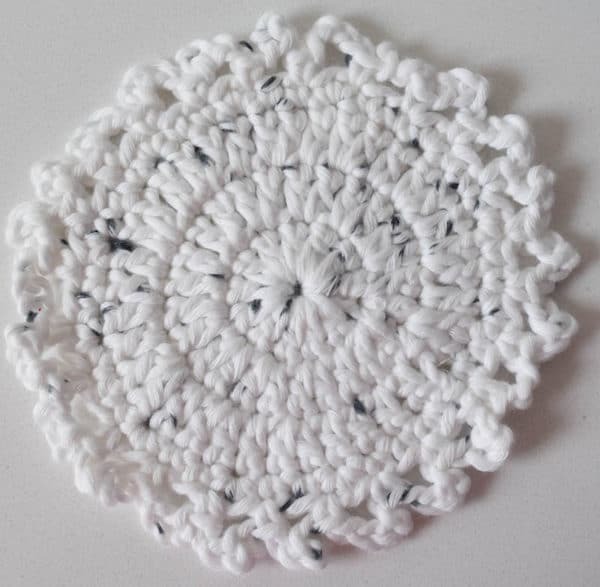 This pattern is for the Little Dots Coaster. If your gauge is the same as mine, you should be able to get a set of six out of one skein of yarn. If, on the other hand, you fall in love with the softness of Wool and the Gang’s Shiny Happy Cotton yarn, you can get the coordinating pattern for the Little Dots, Big Dots Infinity Scarf here. It starts out just like the Little Dots Coaster! 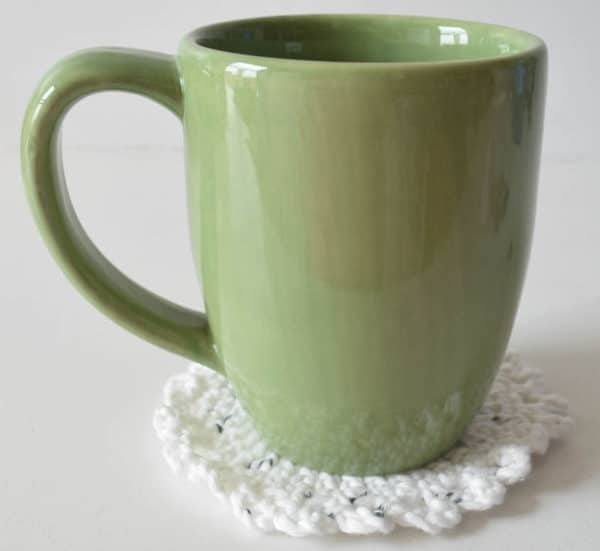 Coaster: 5” (13 cm) diameter. * Repeat instructions after asterisks as indicated. © 2017 Underground Crafter and published with permission by CrochetNCrafts. I hope you enjoyed this pattern. Don’t forget to check out the Little Dots, Big Dots Infinity Scarf here. You can visit me online at Underground Crafter, subscribe to my weekly newsletter, or find me on Facebook, Instagram, Pinterest, Ravelry, StumbleUpon, Twitter, and YouTube. If you’d like to chat with other crafters, you can join my Facebook Underground Crafters group.